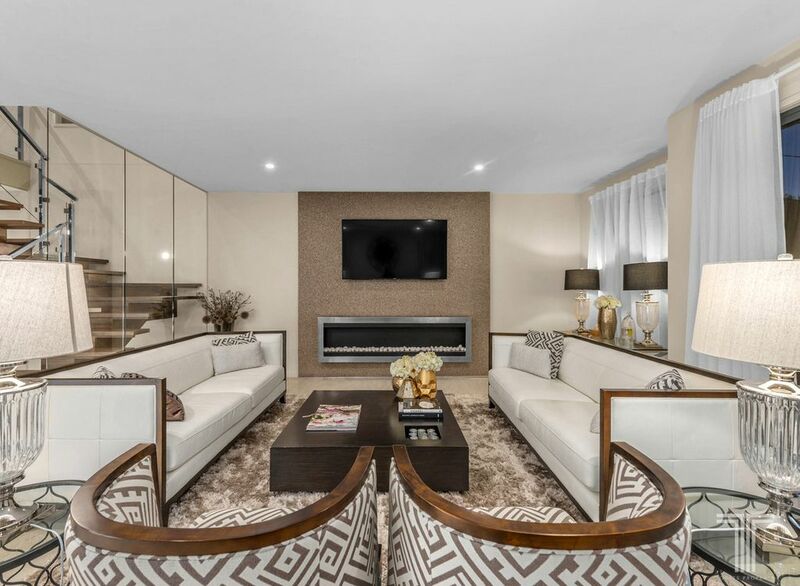 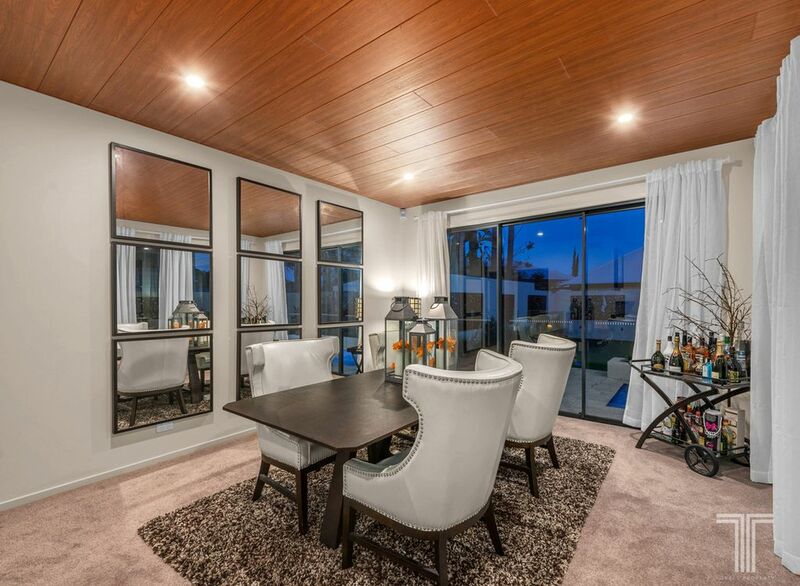 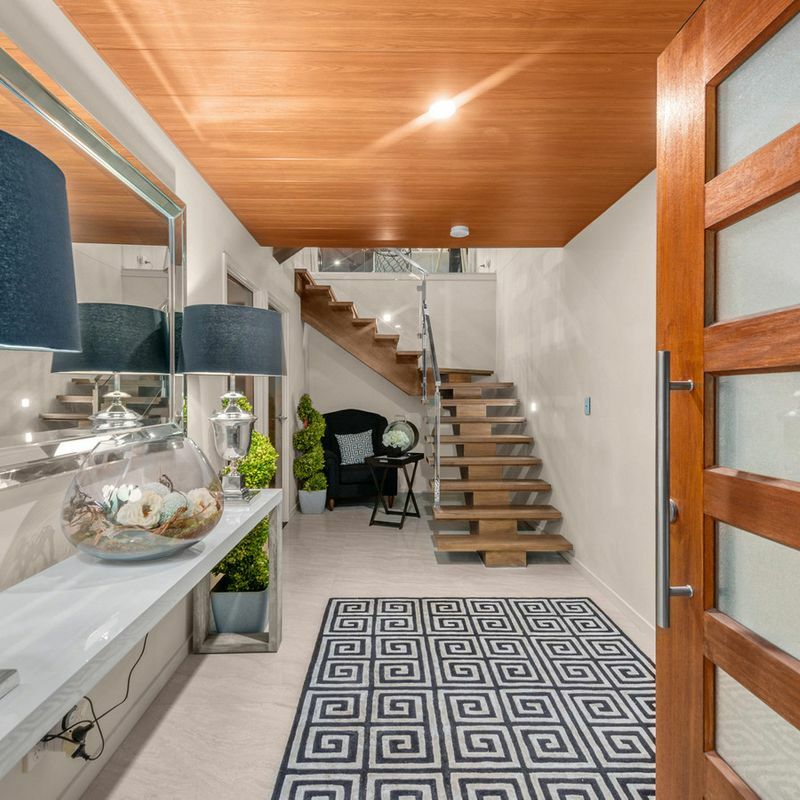 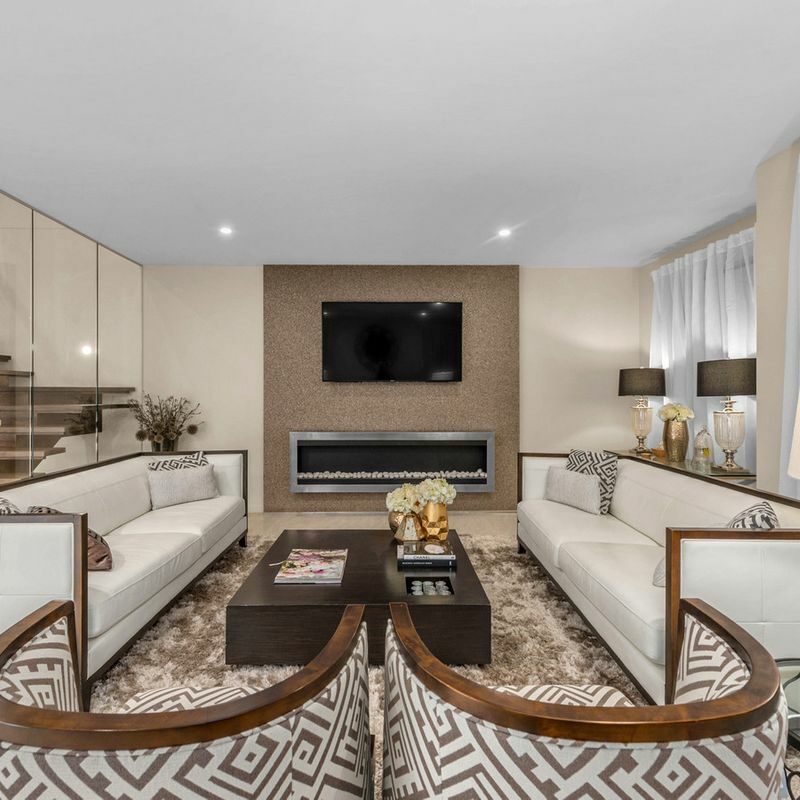 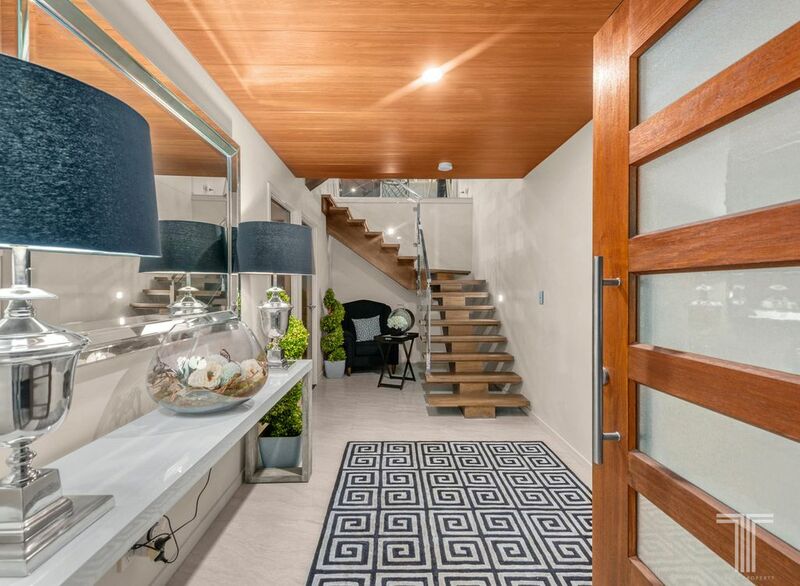 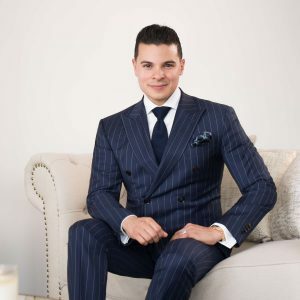 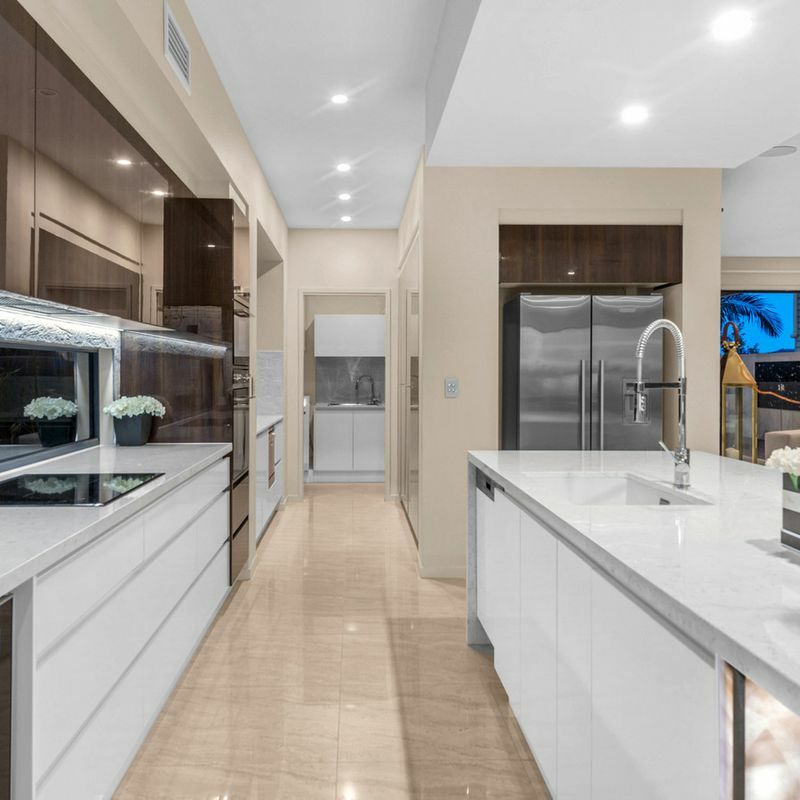 An exclusive residence built to exacting standards, this modern masterpiece within one of Norman Park’s esteemed streets presents a lifestyle of refined luxury like no other. 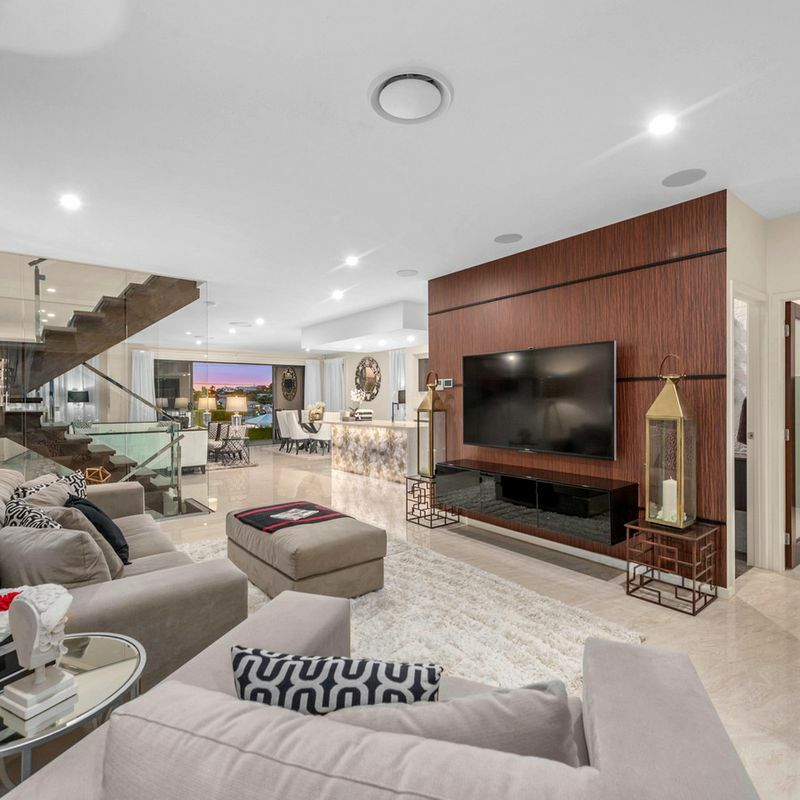 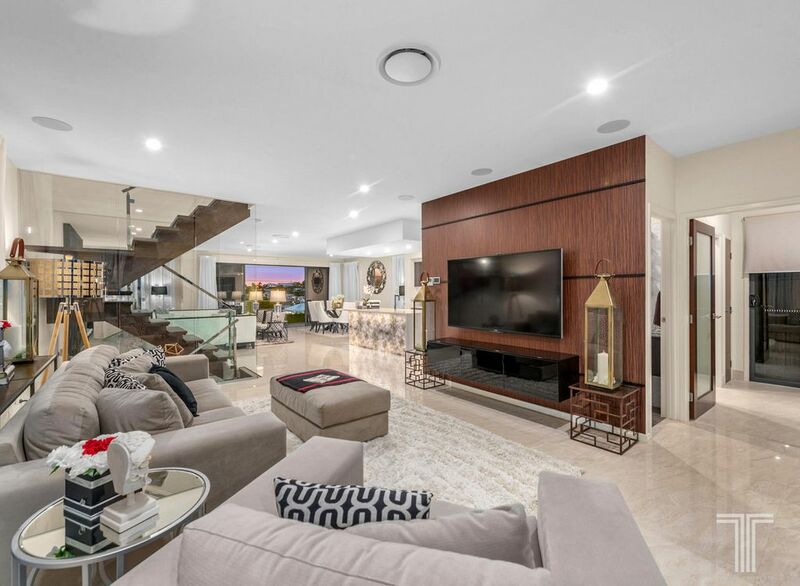 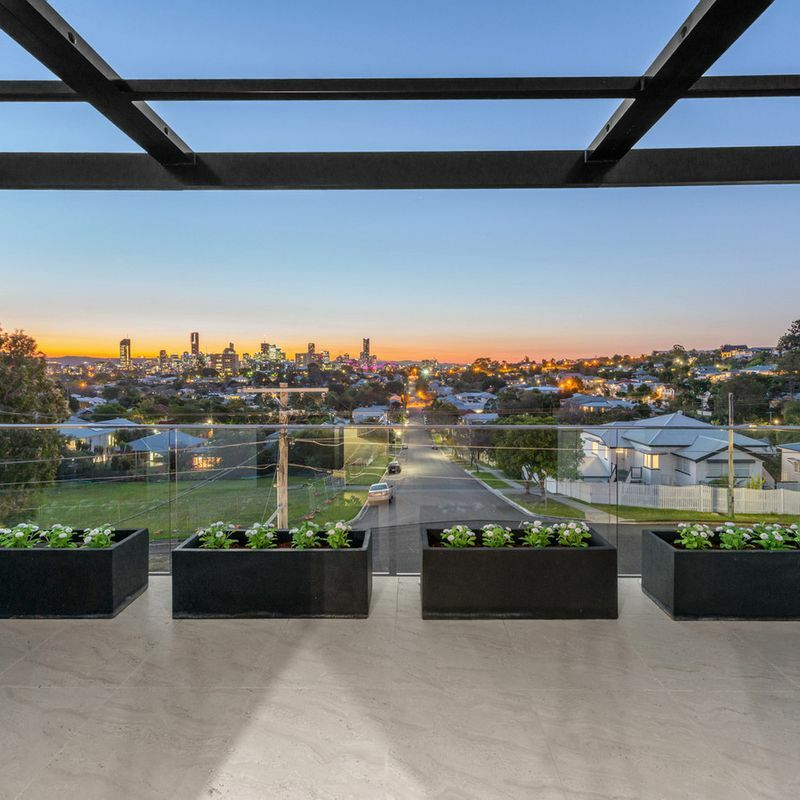 Spanning three elegantly composed levels in a beautiful and elevated position, this opulent home captures breath-taking, uninterrupted city views from every level. 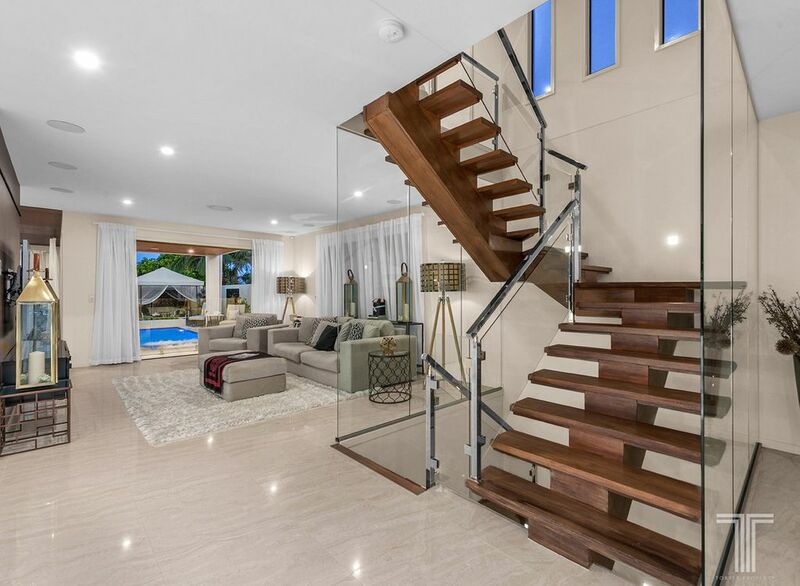 Entering inside, the sleek stone, glass and rich timber interiors create a stylish and sophisticated setting catering to those destined for executive living and flawless entertaining. 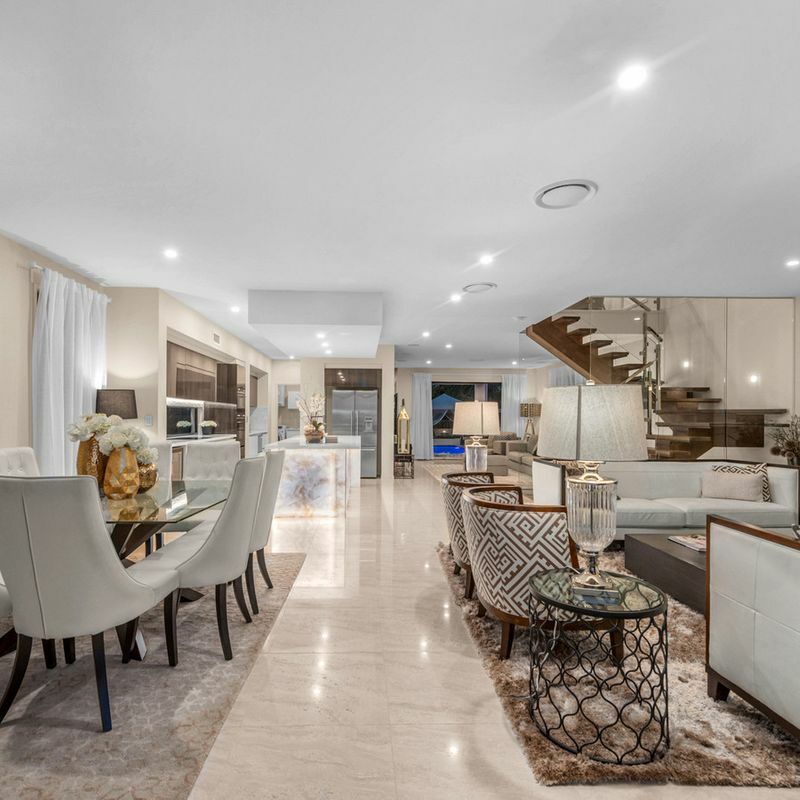 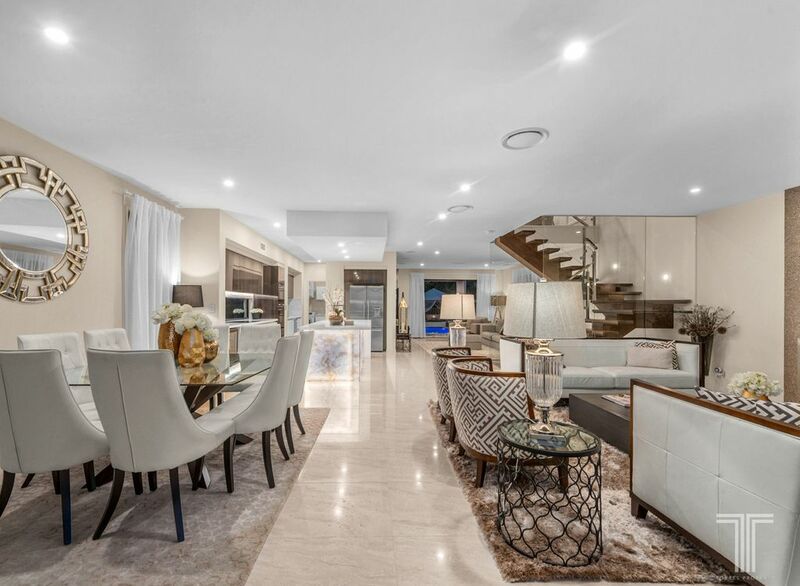 Meticulously presented and dressed in Travertine marble floor tiles, the sprawling lounge and dining area with ethanol fireplace flows with ease onto the spectacular front facing balcony. 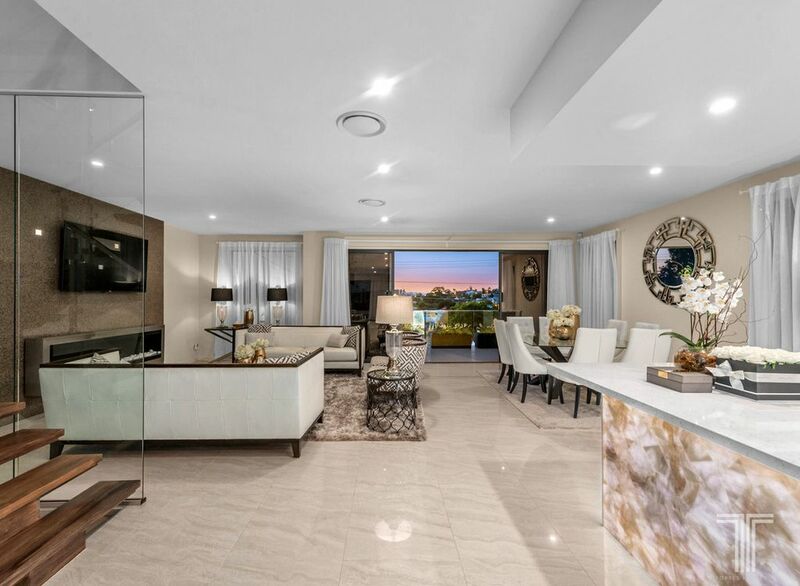 With mesmerising views spanning to the CBD, this enchanted entertaining area is ideal for any occasion. 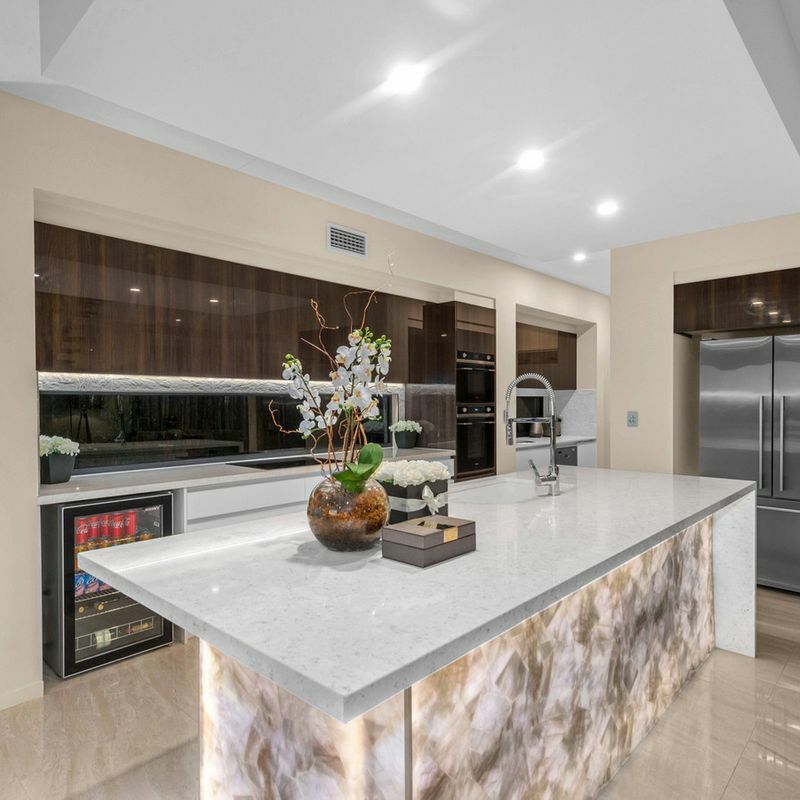 Offering further space to unwind or host guests, the second lounge adjoins the exquisite, gourmet kitchen. 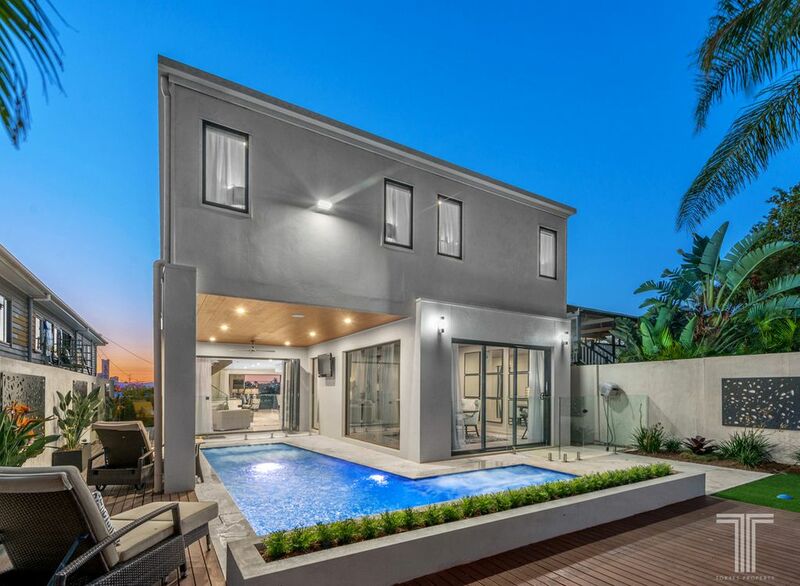 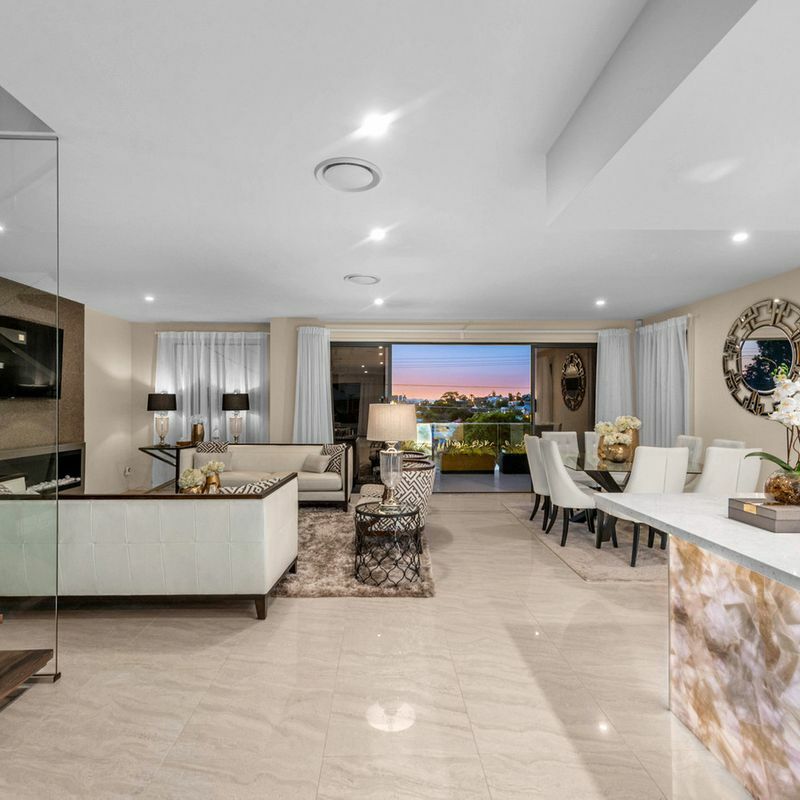 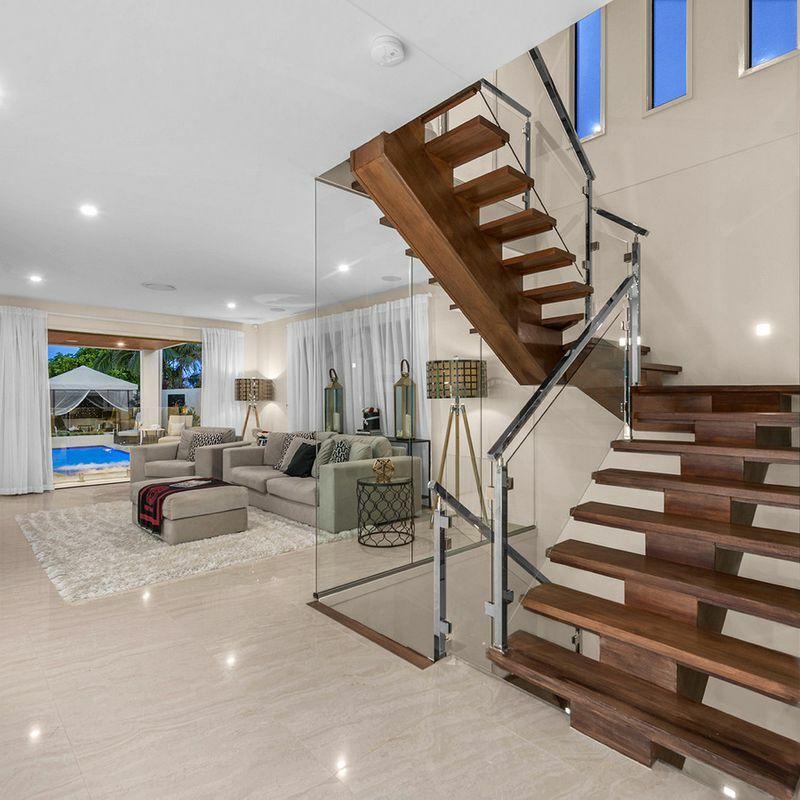 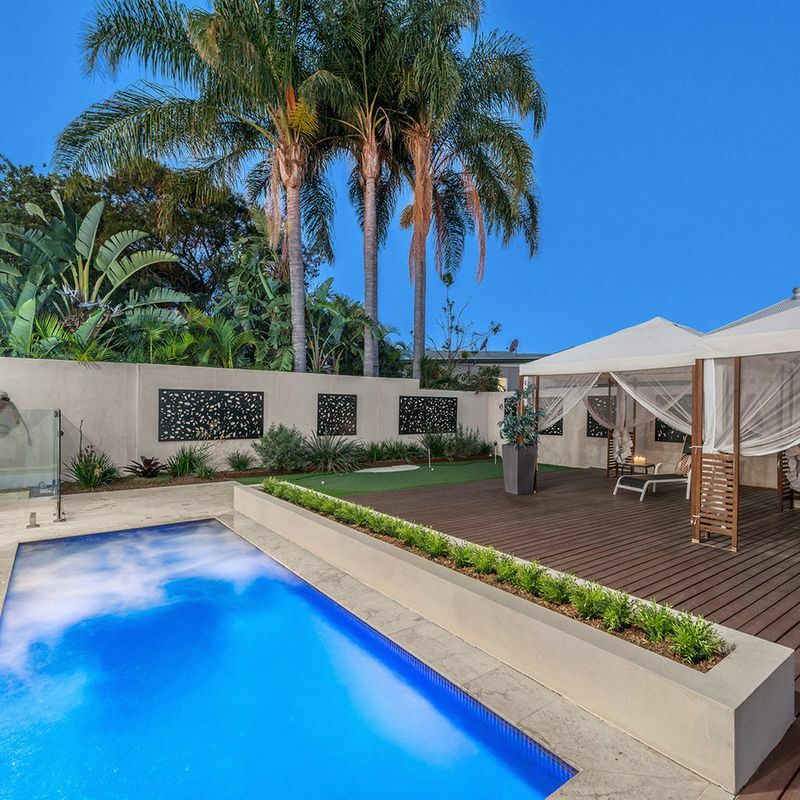 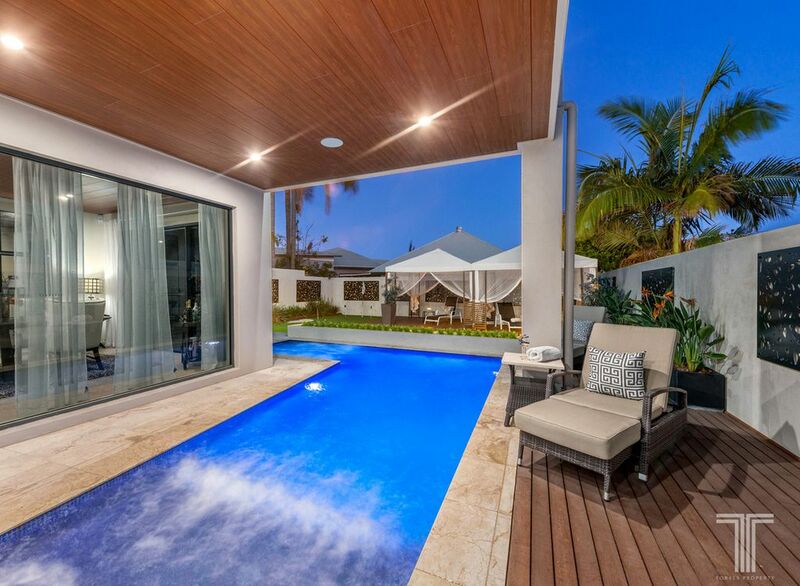 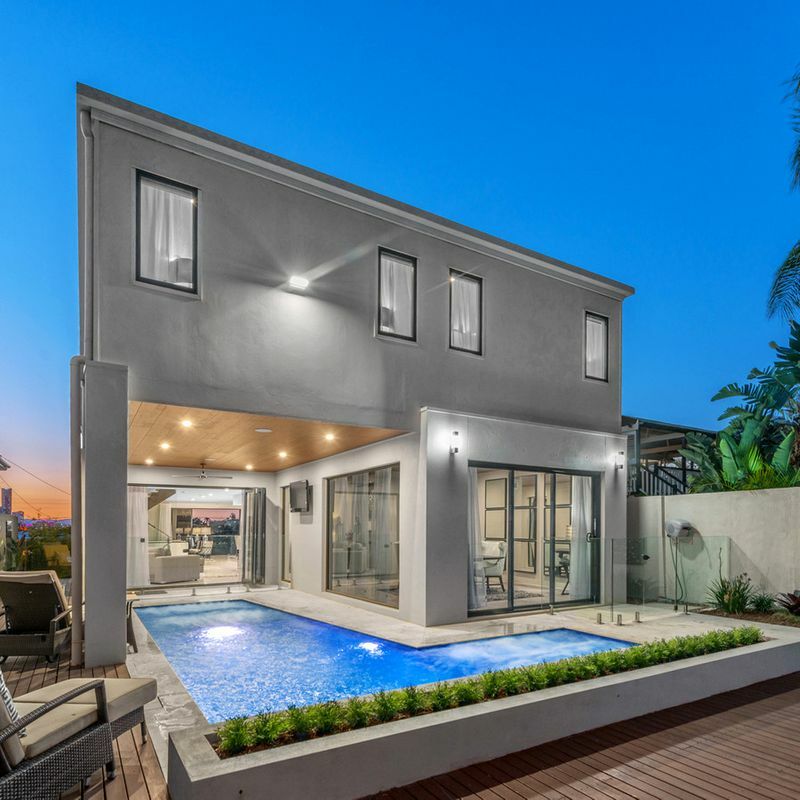 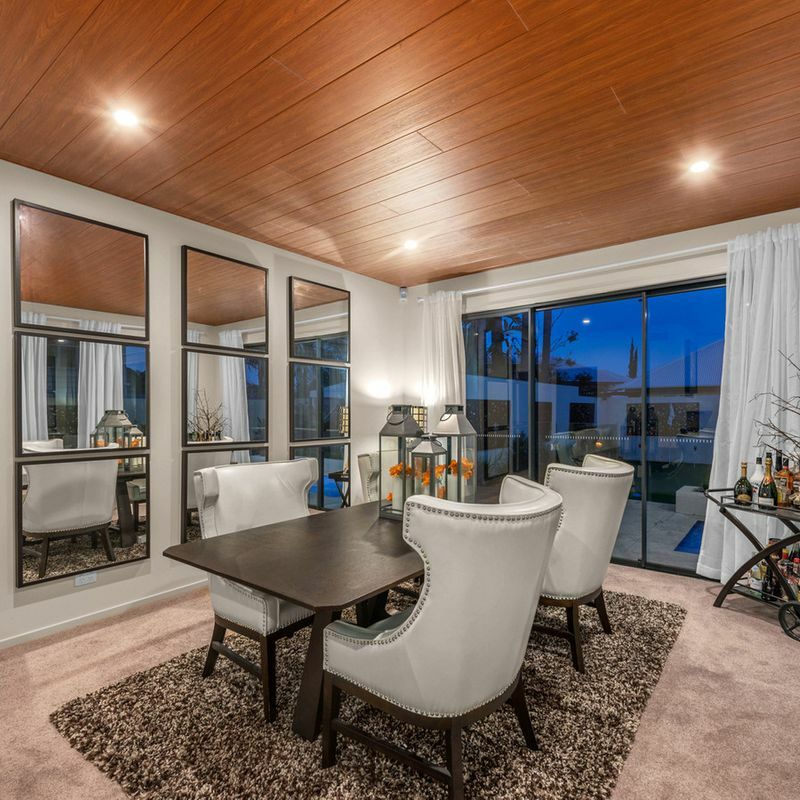 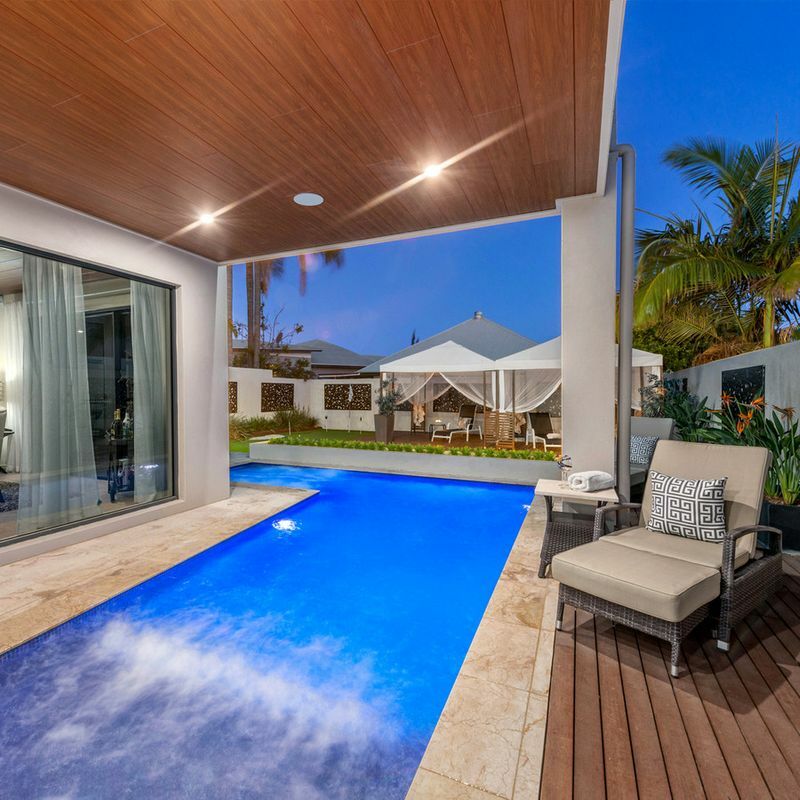 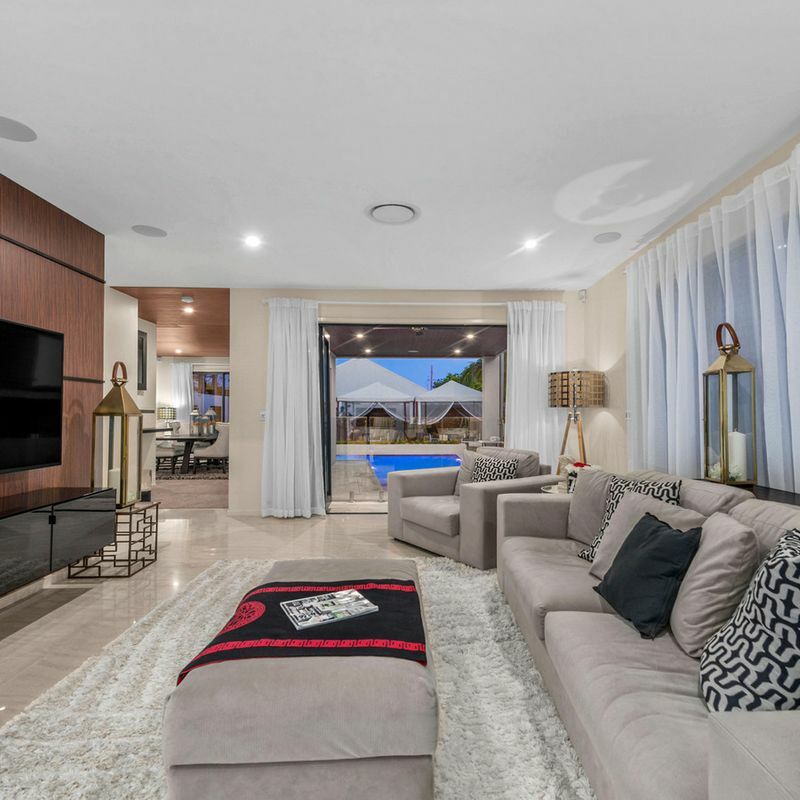 The perfect balance between indoor and outdoor living, step from here out onto the sun-lit alfresco entertainer’s deck with double kabanas, glistening pool and spa, wall-mounted TV and impressive putting green. 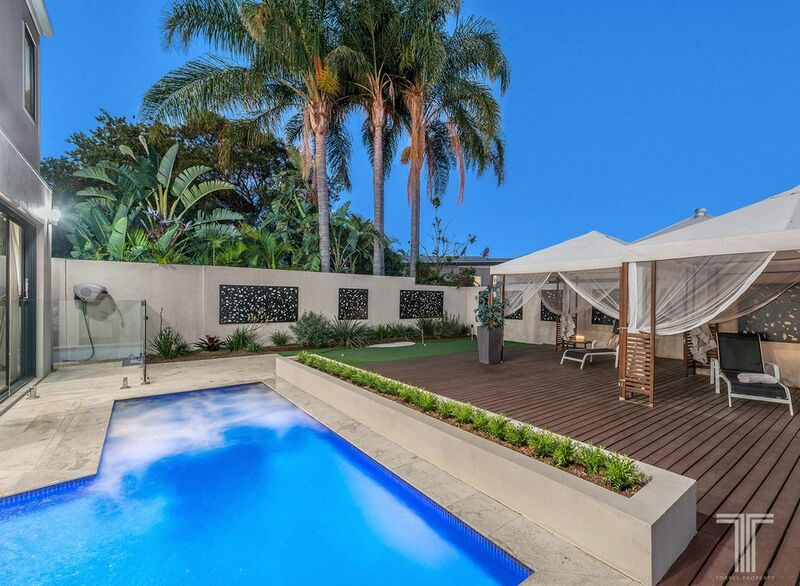 A resort style haven, this luxurious outdoor setting will be a pleasure to indulge in time and time again. 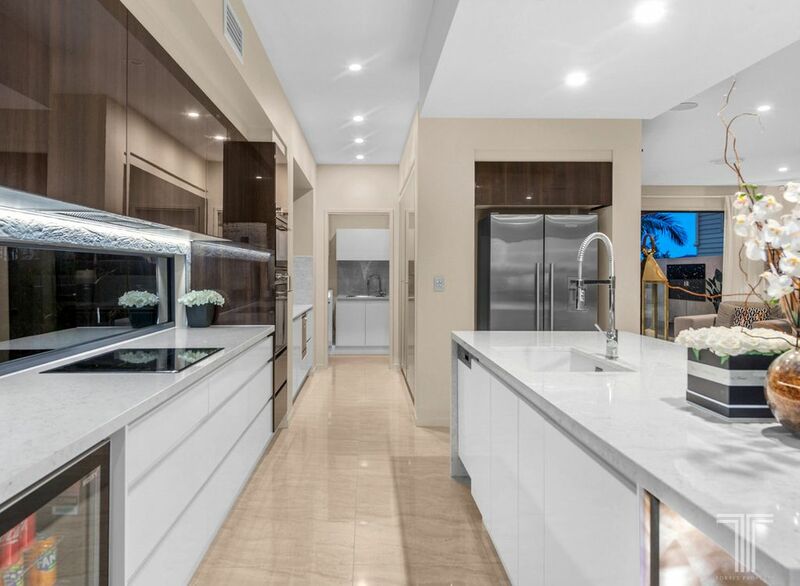 Exceptionally appointed with a selection of high-end appliances, the gourmet kitchen is destined to impress. 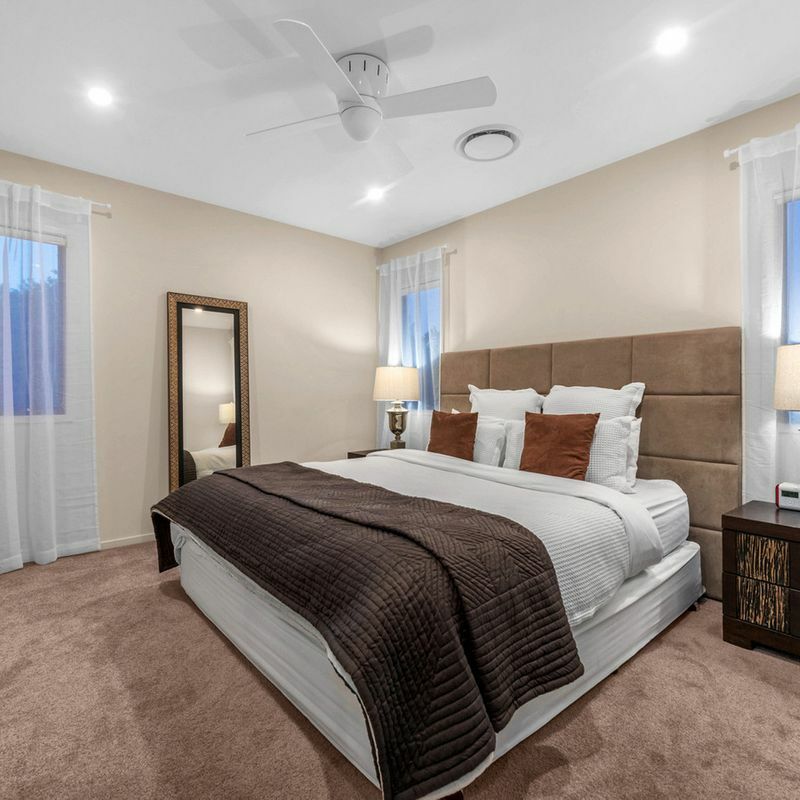 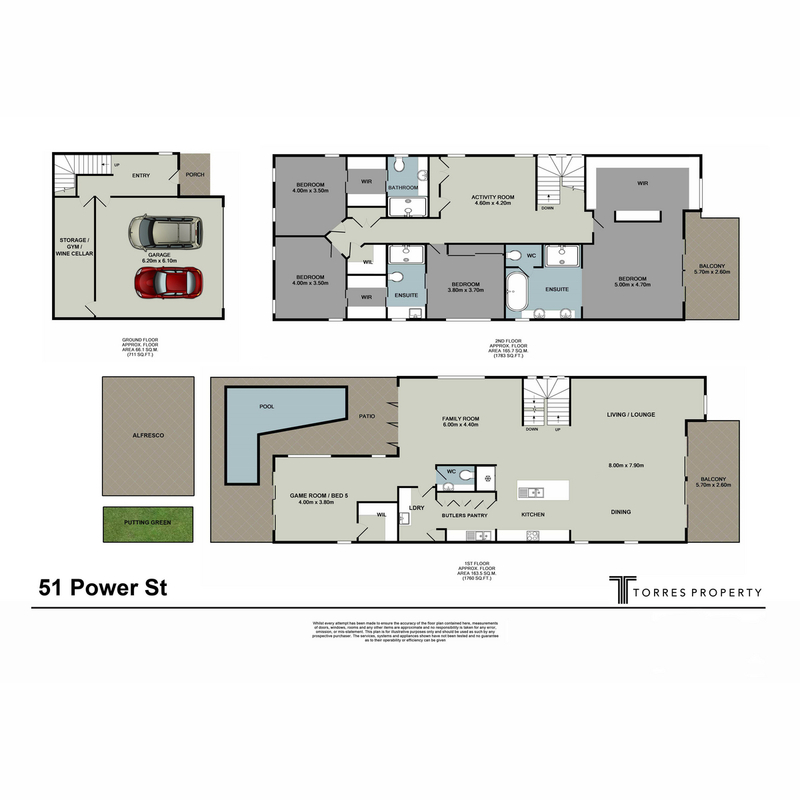 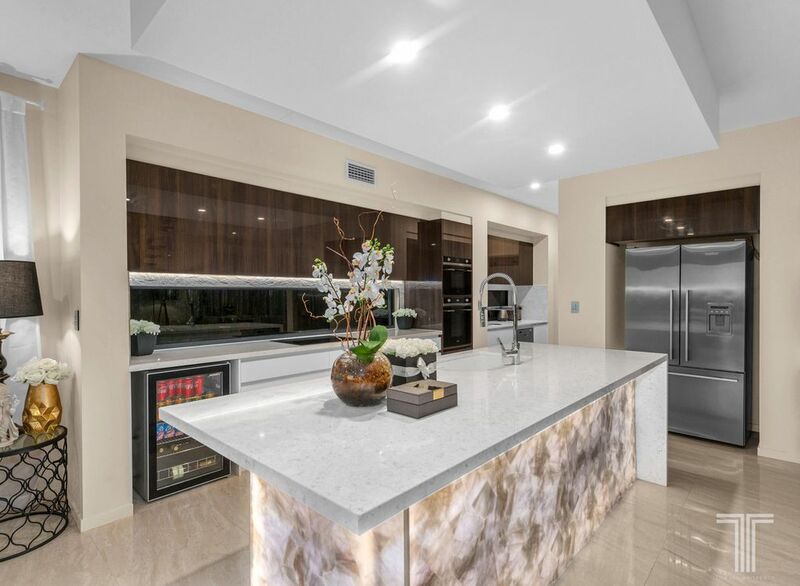 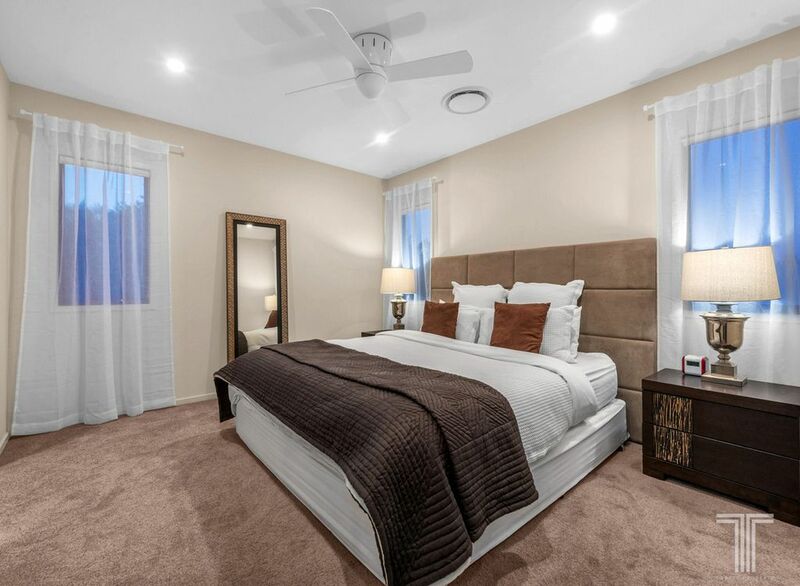 Showcasing an oversized, waterfall island bench with feature backlight, ample soft close cabinetry, steam oven, induction cooktop, bar fridge and butler’s pantry with additional cabinetry and second dishwasher, preparing meals here will be a joy. 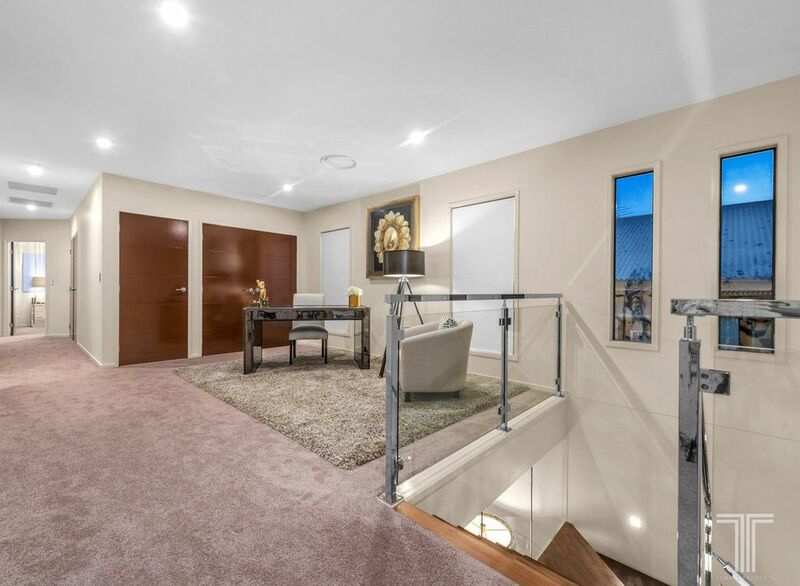 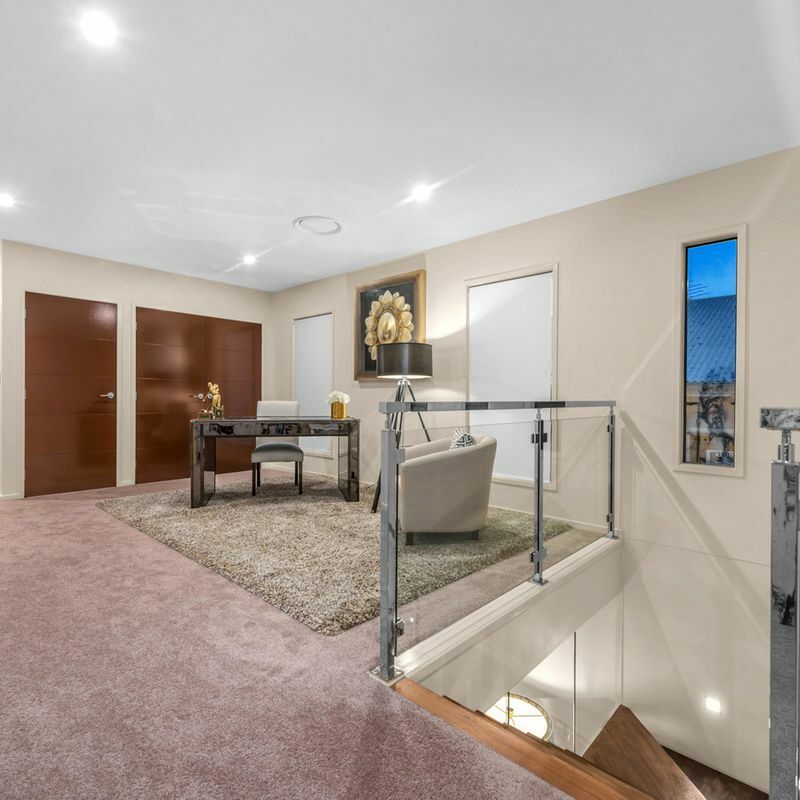 On the upper level, beyond the glass framed staircase, a spacious activity room ideal for children and teenagers accompanies four extravagant and ensuited bedrooms. 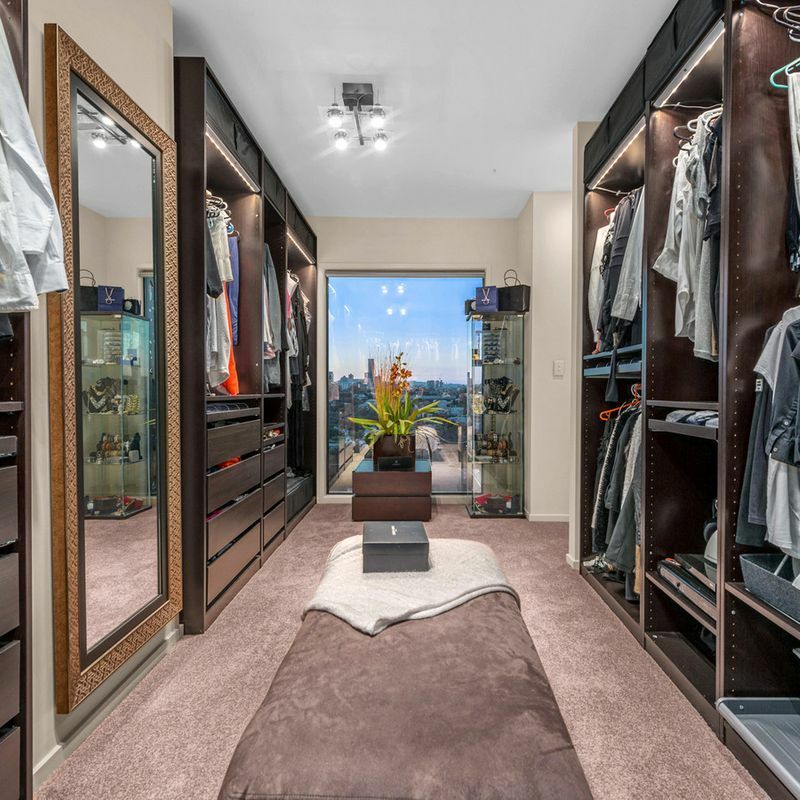 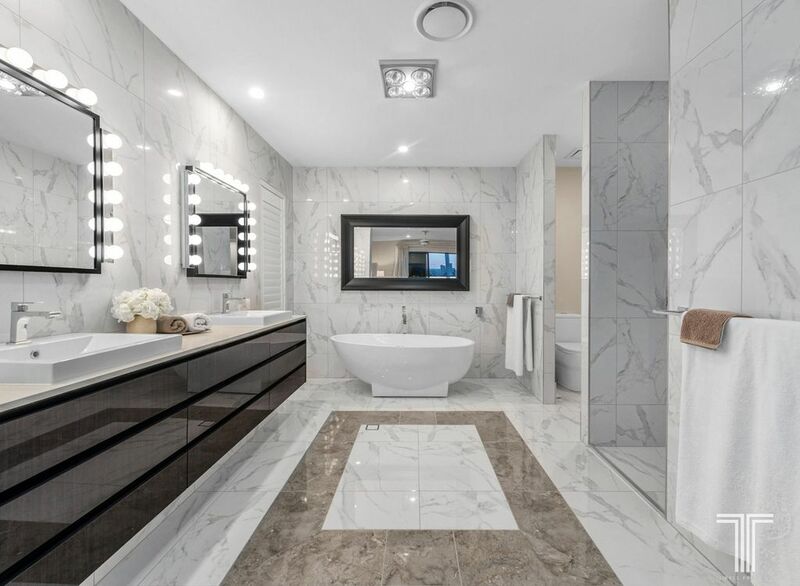 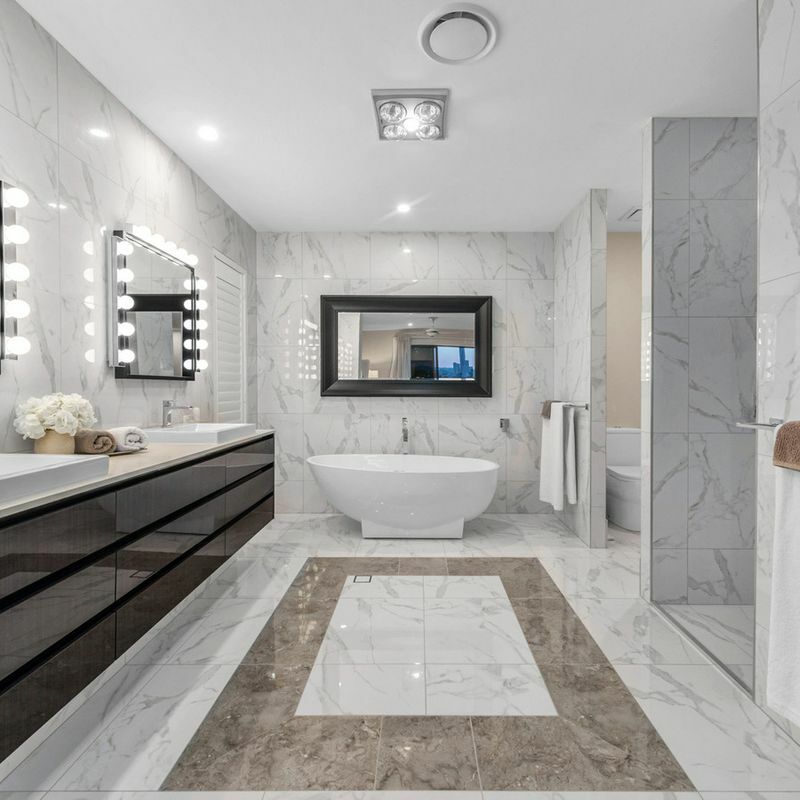 The height of luxury, the palatial sized master suite boasts a lavish walk-in robe, private balcony with city views and modern, open plan ensuite with deep relaxing bath and feature vanity lighting. 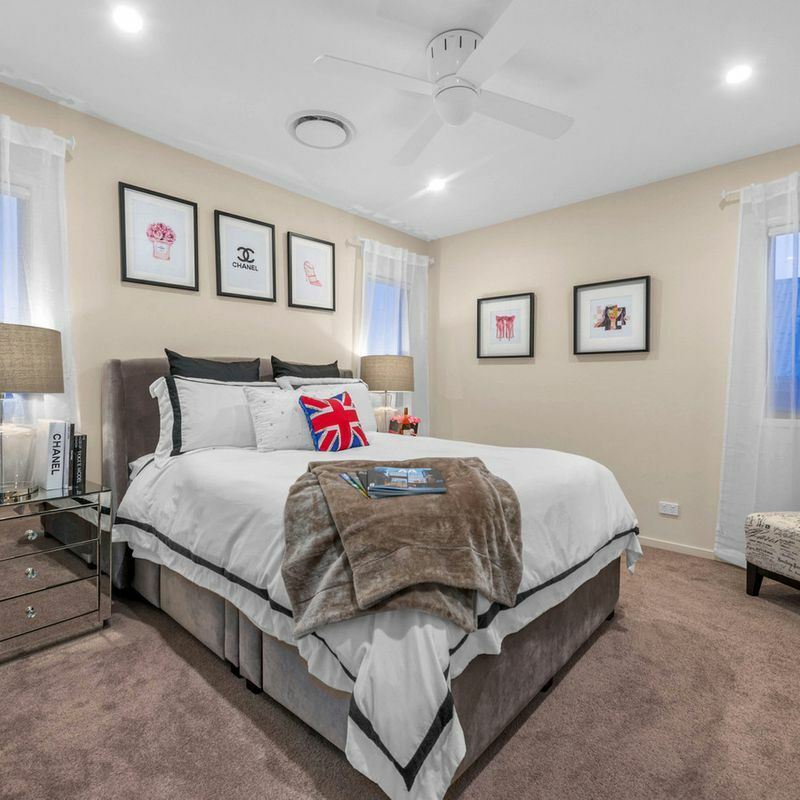 On the ground floor, a fifth bedroom also serves ideally as a study or games room. 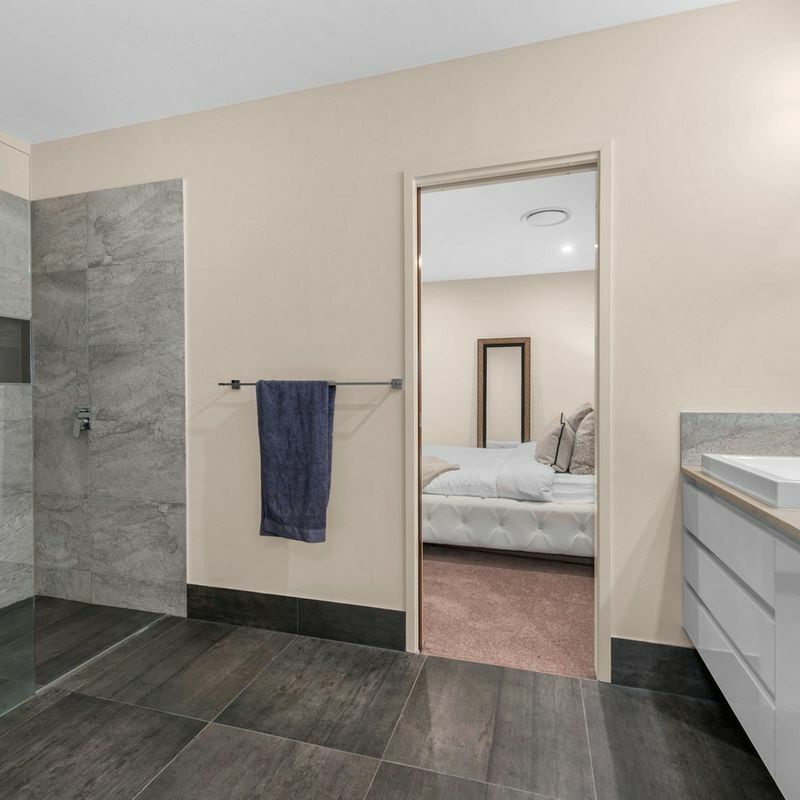 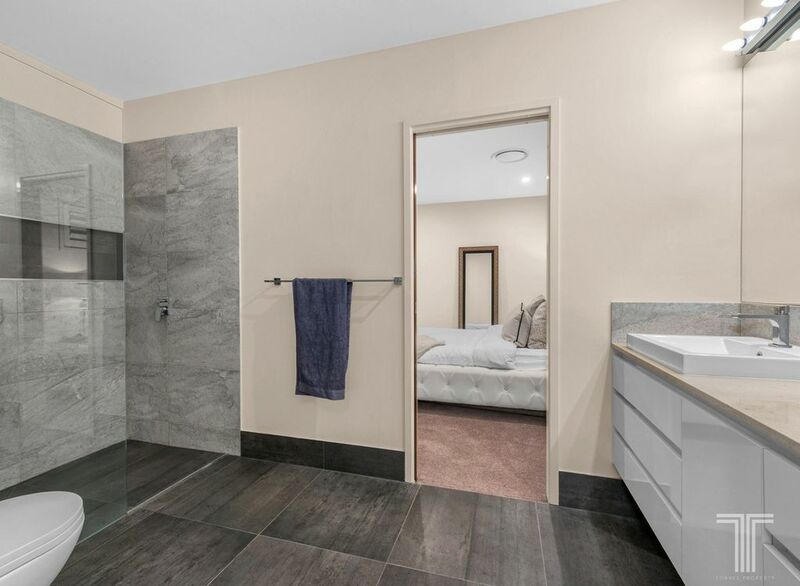 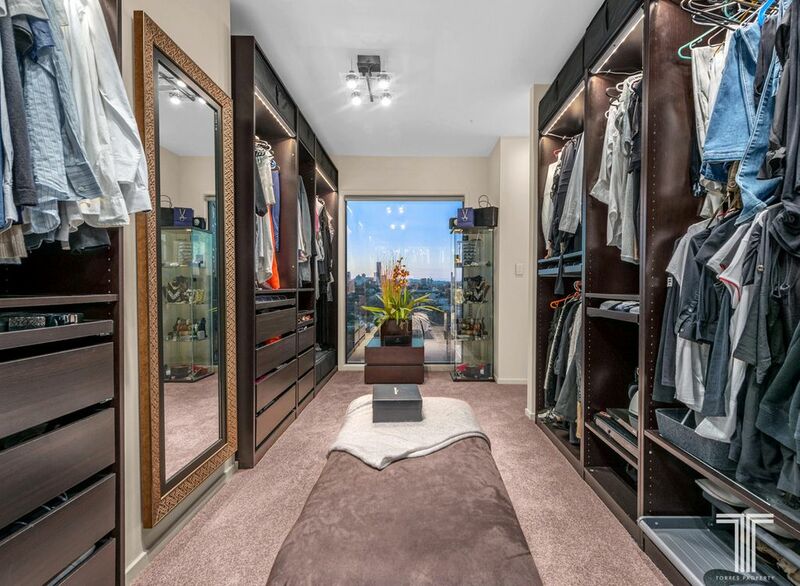 Currently boasting walk-in storage, this area can be transformed into an ensuite with pipes already in place. 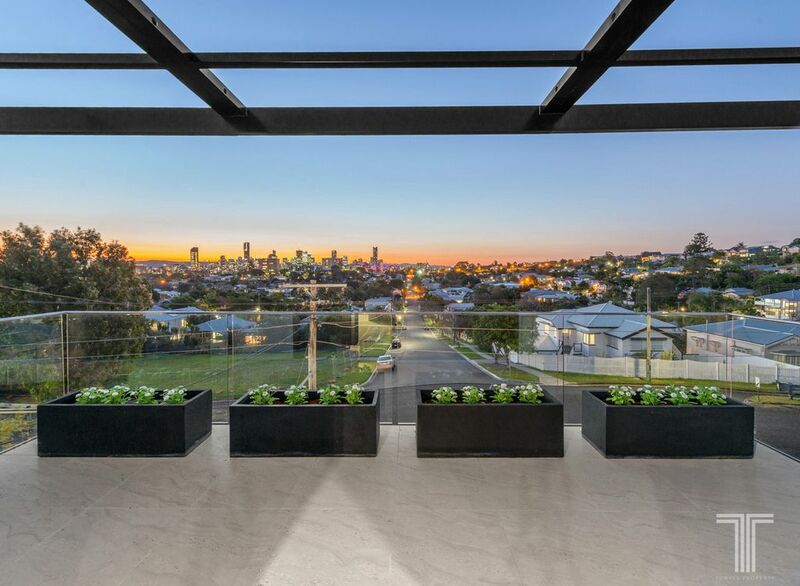 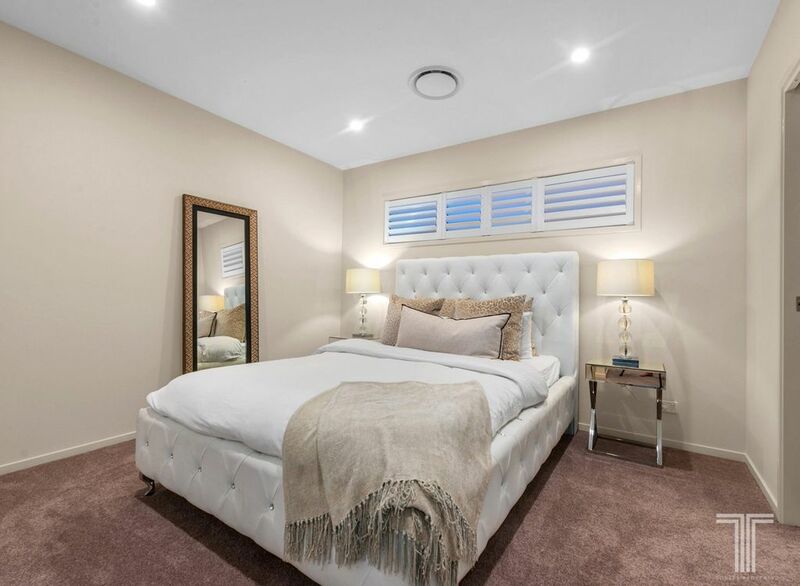 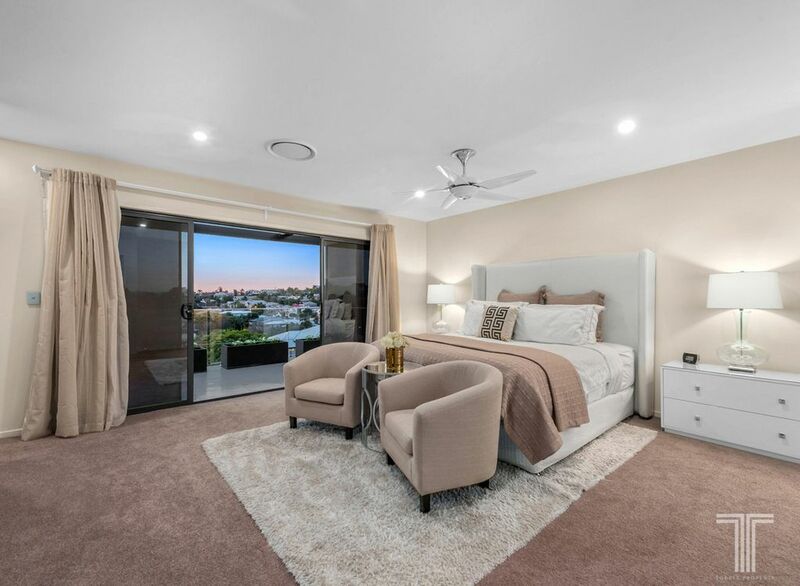 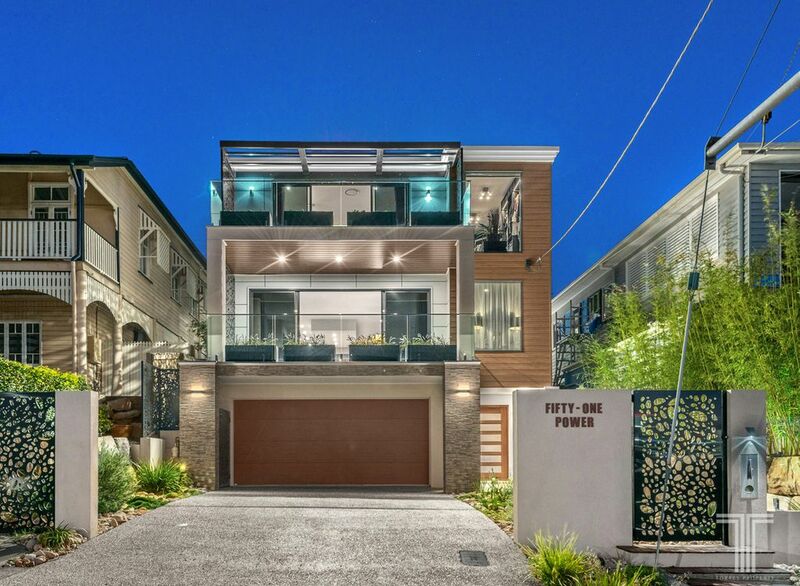 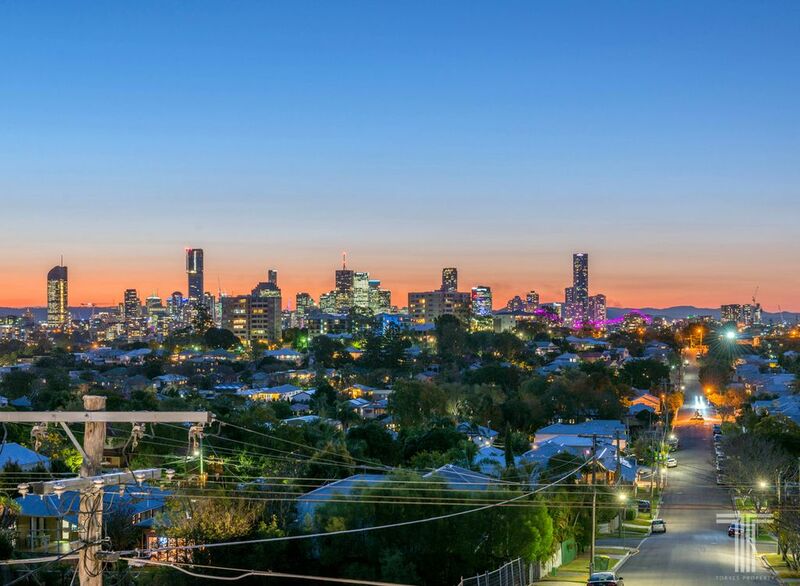 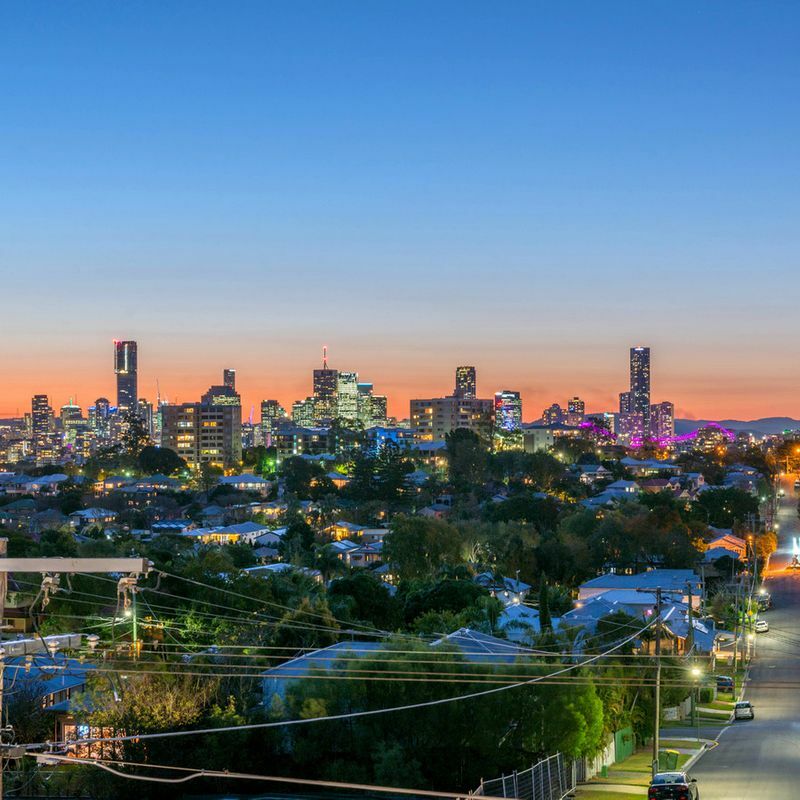 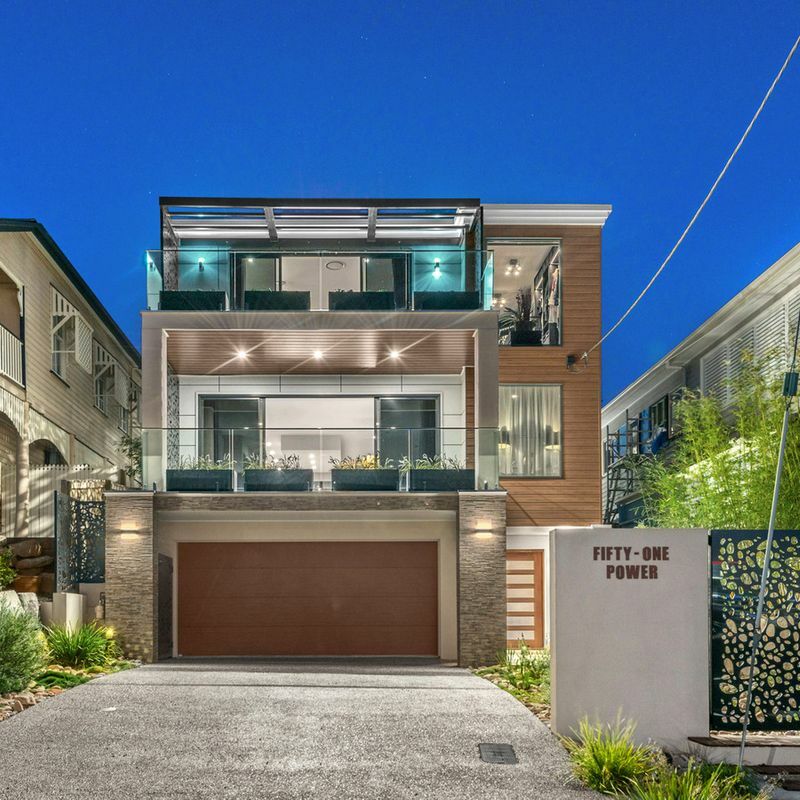 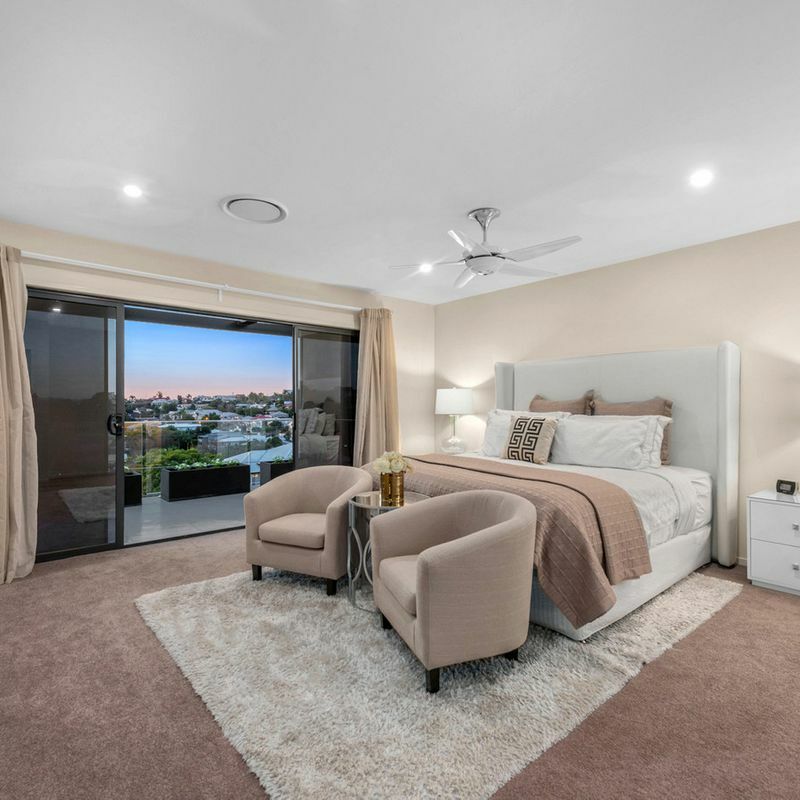 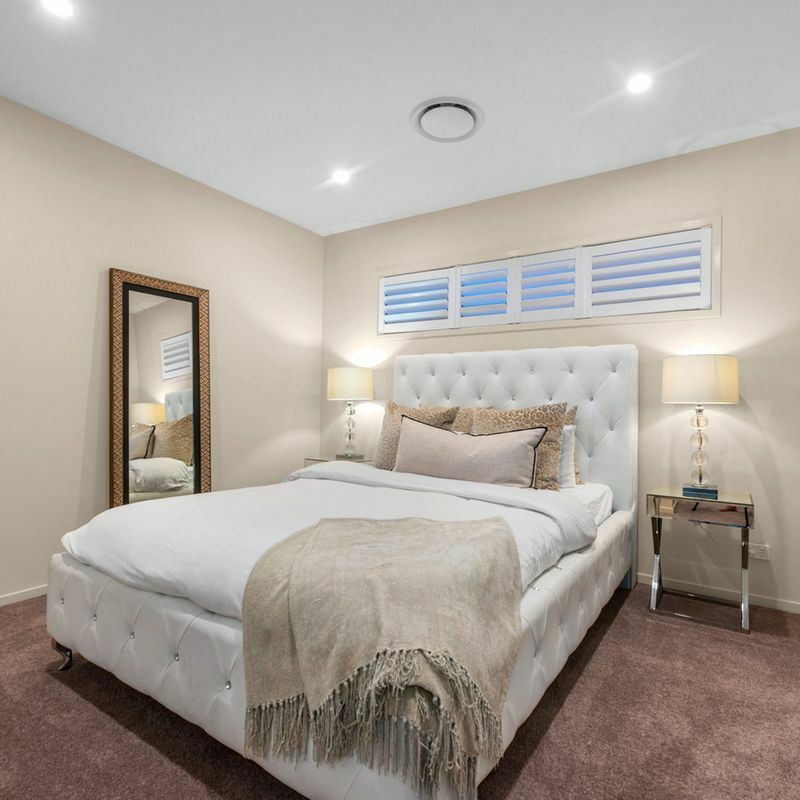 A spectacular position, only 5-7 minutes to the CBD and walking distance to bus and train stations, this lifestyle precinct offers local cafes and eateries nearby, while the further cinema, shopping and dining delights of Bulimba and Coorparoo are only minutes away. 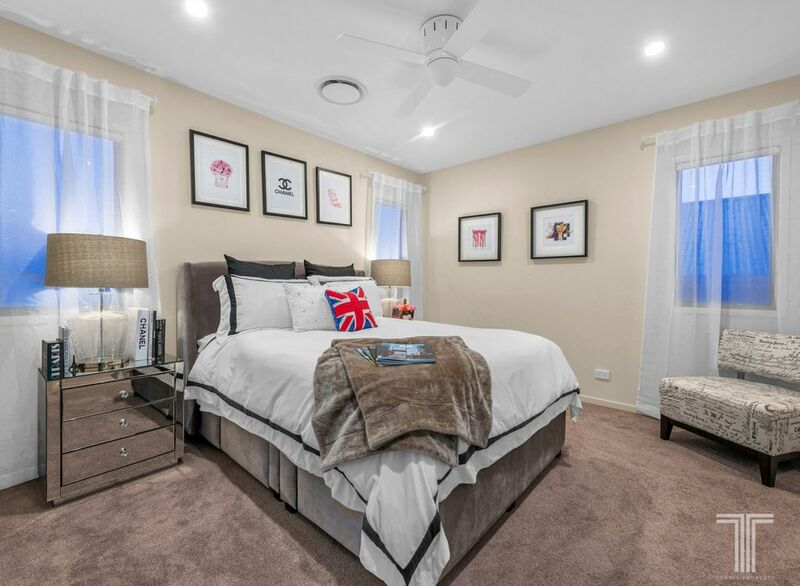 Close to Churchie, Lourdes Hill, local schools and day care, this position offers everything you need, and more. 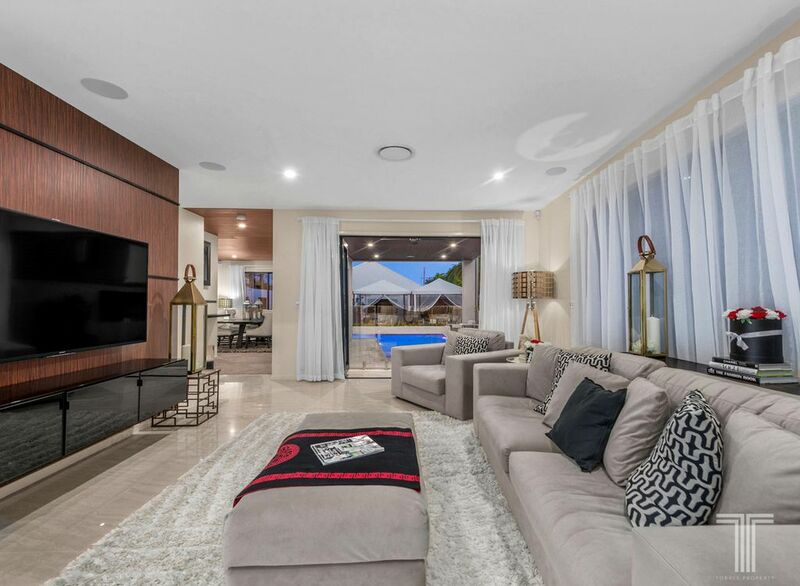 A lifestyle of luxury not to be missed – enquire today!